Clare Baker started her book trade career in 1985 at a new, small chain of bookshops, Waterstones. After two years she became a sales rep at Routledge, Kegan & Paul. She discovered WiP and joined the newly formed Survey Committee. In 1988, she moved to Cambridge University Press to cover London and Oxford shops, as their first female sales rep, going on to become their marketing development manager. 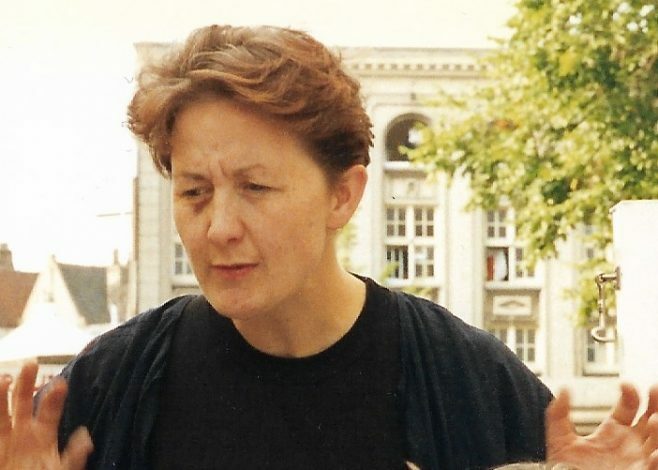 Together with Ariadne van de Ven she started the WiP International Committee in the late ’80s and spent much of her free time travelling to overseas book fairs, Feminist and Frankfurt. She left CUP in 1994 to travel, but stayed in touch with the book trade by writing articles for The Bookseller and freelancing for publishers around the bookshops of the southeast of England.